Orsi's Bronze Double bed with bed valance and footboard X is crafted in figured sycamore and stained dark grey with a high gloss finish. 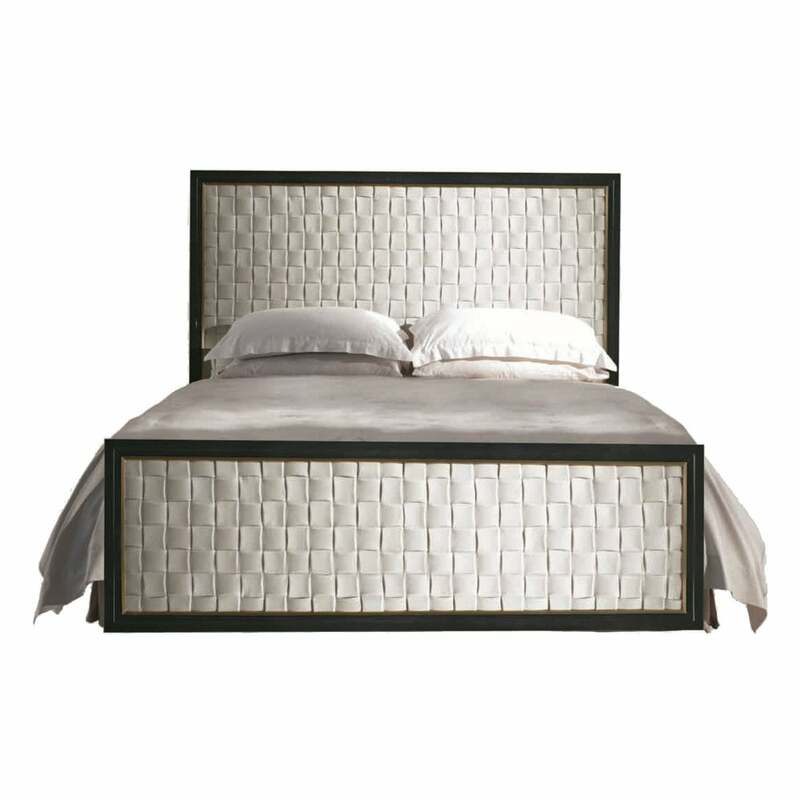 The elegant bed features bronze trimming detail and a headboard and footboard upholstered in the woven cashmere/linen fabric from the Loro Piana 'Regent' range in the colour Zen. This Art Deco inspired design works well with a monochromatic bedroom scheme with soft bedding in greys, mink, dusty pink and cornflower blue. Pair with Bronze Bedside table XI and add a touch of luxury with a faux fur throw. Price of mattress excluded. Priced for Natural Black American Walnut in high gloss finish + bronze with headboard and footboard upholstered in woven cashmere from Loro Piana ‘Sherpas’ range, colour Shaded Cloud.